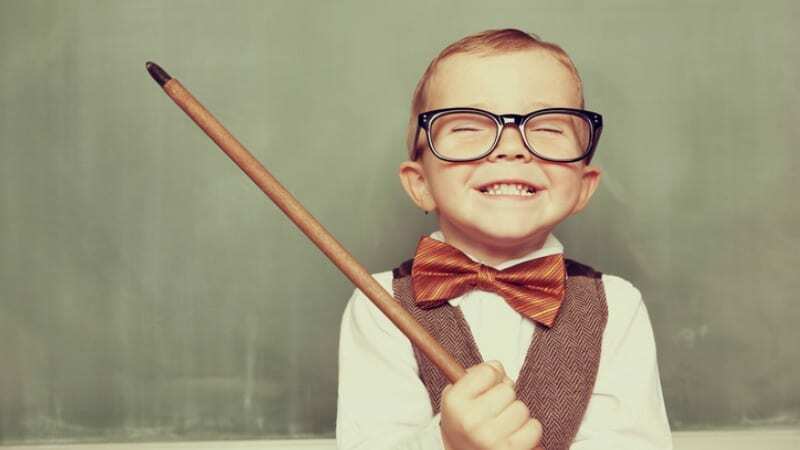 Some teachers are naturally gifted for throwing down a memorable verse. 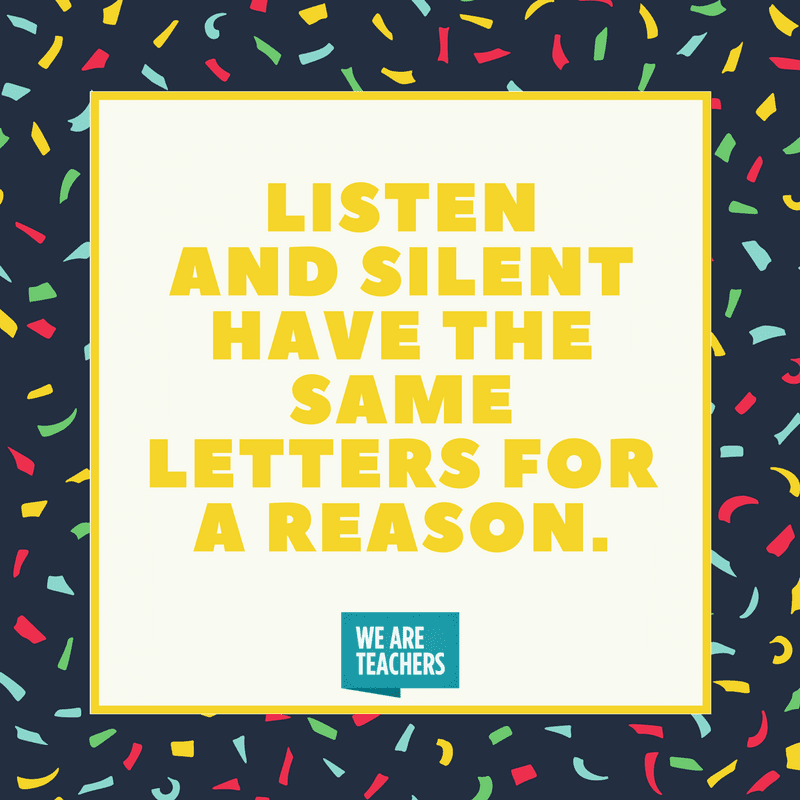 And truly, we’ve all had those teachers whose lines have stuck in our minds for years! 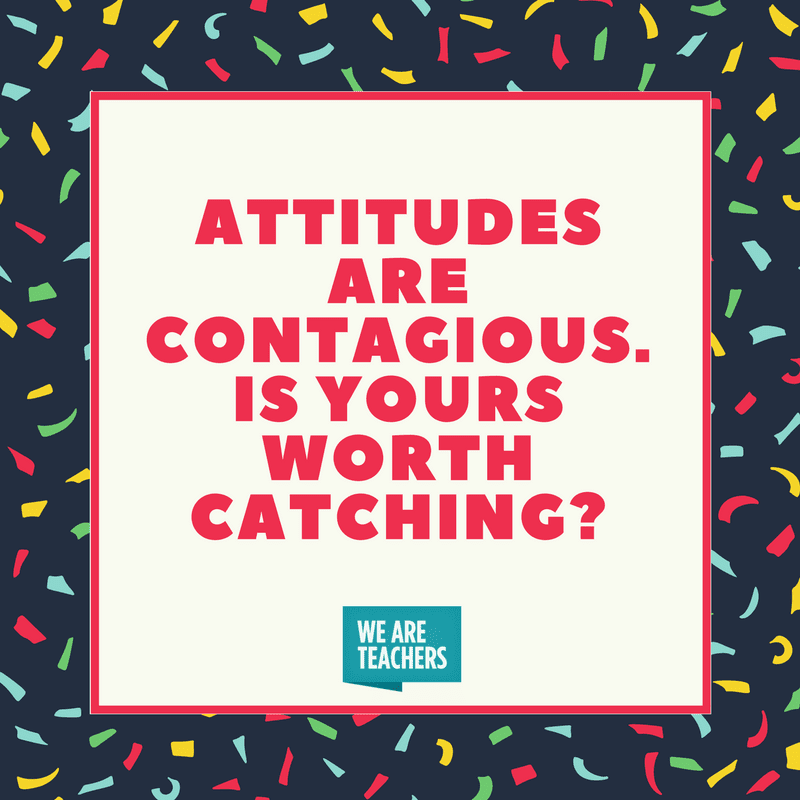 One of our favorite teachers threw out the challenge on our WeAreTeachers Helpline to share our favorite catchphrases in the classroom and the response was huge. Disclaimer: Not all comments are appropriate for all age groups! Read. Enjoy. And yes, steal your favorites! Every day is a brand-new day. —Irene C.
Be your best you! —Thia W.
Attitudes are contagious, is yours worth catching? —Lydia L.
Are you asking me or telling me? Then tell me with the courage of your convictions! —Jeni H.
Excellence is not a skill, it’s an attitude —Jacqui V.
It’s nice to be important, but it’s important to be nice. —Regina J. Make it a great day, or not: The choice is yours. —Hope G.
The only person you can change is you. How are you going to make that happen? —Chantal A. Is your choice helping take care of someone? —Jennifer G.
Life is about making choices. Make good ones today. —Randi S.
Don’t let your emotions make your decisions. —Suzanne S.
It’s OK to be wrong; it’s not OK to not try. —Angie T.
Me: Mistakes are …? Kids: Expected, Respected, Inspected, Corrected! 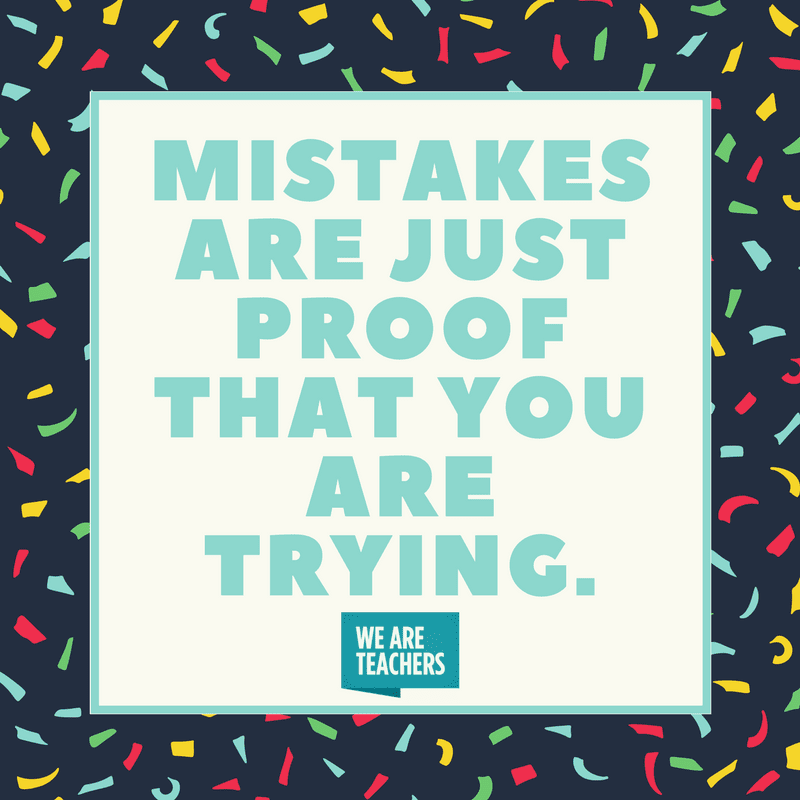 (Used as call-and-response whenever someone makes a mistake in front of the whole class.) —Sarah M.
Mistakes are our best teachers.—Ayn N.
Mistakes are just proof that you’re trying. —Kristin G.
There are no mistakes, only lessons. 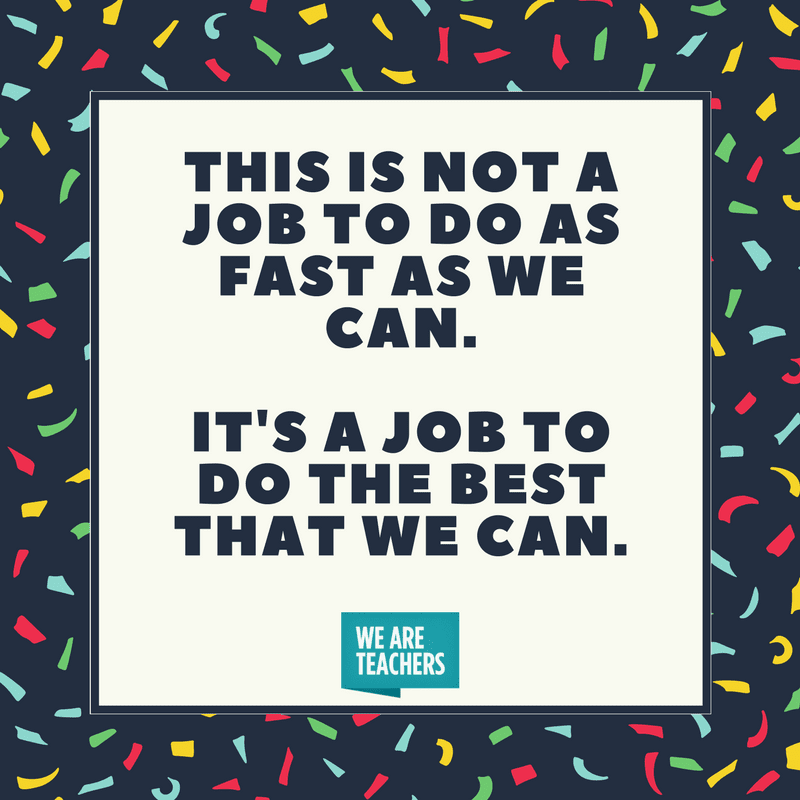 —Michele H.
This is not a job to do as FAST as we can, it’s a job to do the BEST that we can. —Jen P.
Do what you have to do so you can do what you want to do.—Katherine W.
You gotta EARN it! —Mark D.
In order to get smarter, you have to work harder. —Lisa B. Squeeze your brain juice! —Consuelo B. Control it, don’t let it control you. —Richard K.
Self-control is the key to your success. —Heather K.
“Listen” and “silent” have the same letters for a reason. —Kelly P.
Zip it, lock it, put it in your pocket. —Elisa R.
Just because your feet are moving doesn’t mean your lips are. —Angie T.
Just because “talk” and “walk” rhyme does not mean that you do them at the same time. —Holly B.
Don’t make me pull this classroom over. —Scott C.
Don’t make me cloud up and rain on you! —Christina E.
This test is so easy, my dog took it last night blindfolded! 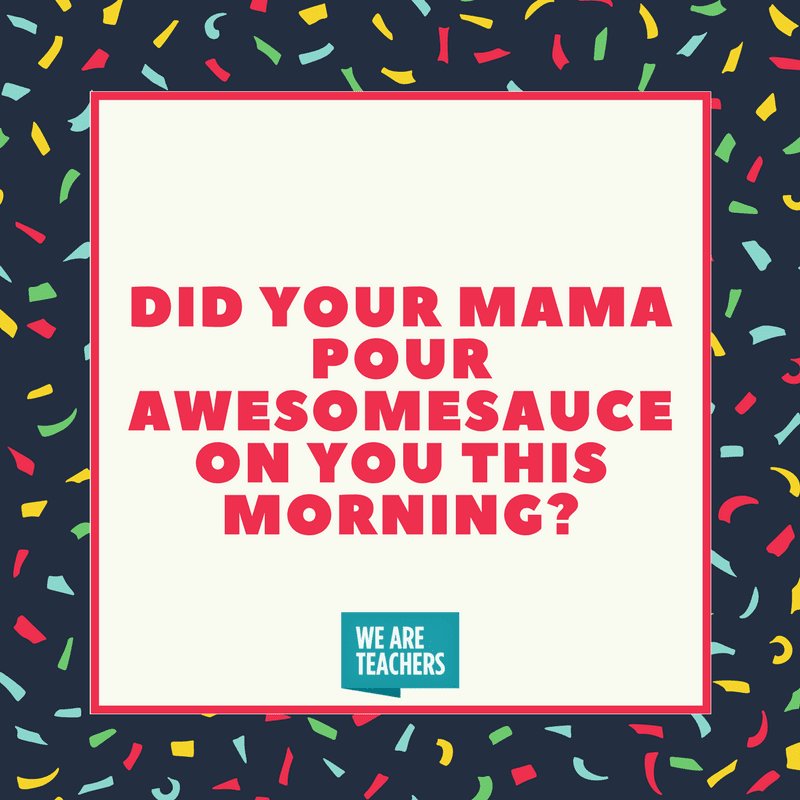 —Ayn N.
Did your mama pour awesome sauce on you this morning?! —Vicki R.
I was born at night, but not last night! —Donella O.
I’m the boss, applesauce, and I may be short, but I have the power! —Holly B. Do I need to get my spoon? Cause it looks like we have people waiting to be spoon-fed the answers. —Kali T.
What is that? Do you smell grapes? Cause there’s a lot of “wining” in here! —Lori L.
Be fabulous when you exit our door. —Irene C.
Go ahead into the world and make good decisions! —Maria H.
Love you. Goodbye. Now get out. —Misty C.
Catch ya later, sweet potater! —Lyida L.
Hugs are better than drugs, clean your room and I love you! 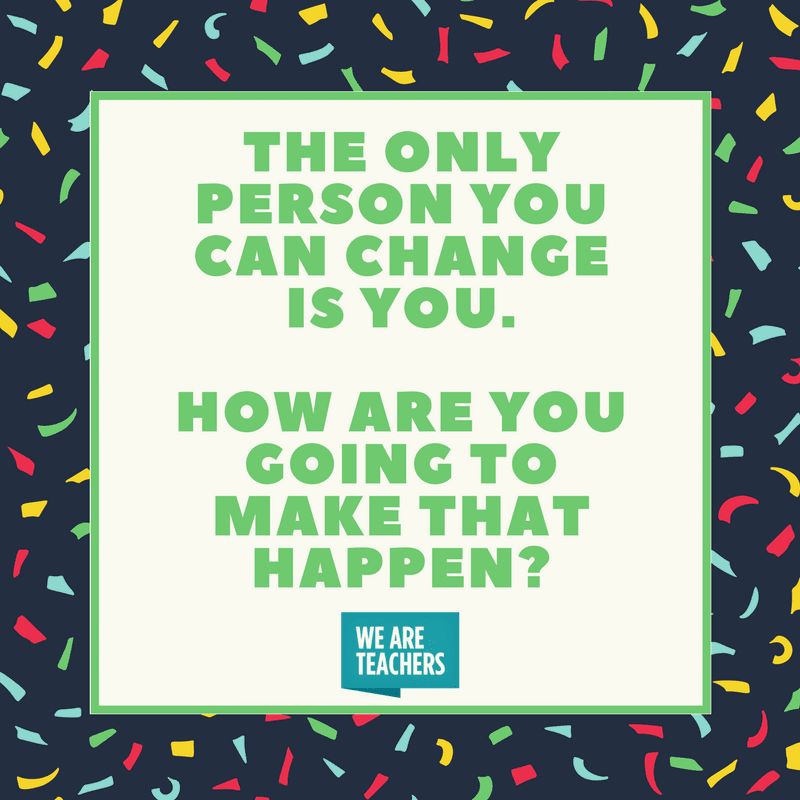 —Christy D.
What do you say ALL THE TIME, teachers? Add your favorite catchphrases to the comments below.